The summer is heating up in Florida and the beaches are calling my name. Time to take off the boots and play in the water. I am a 5th generation Floridian. Growing up my summers days were spent relaxing at the beach. Some of my favorite activities included swimming, tanning, boating, jet skiing, and fishing. I am hoping my boys will love the water as much as I do. Here we are at Honeymoon Island State Park, or Dunedin beach. It is about 30 minutes from our house. 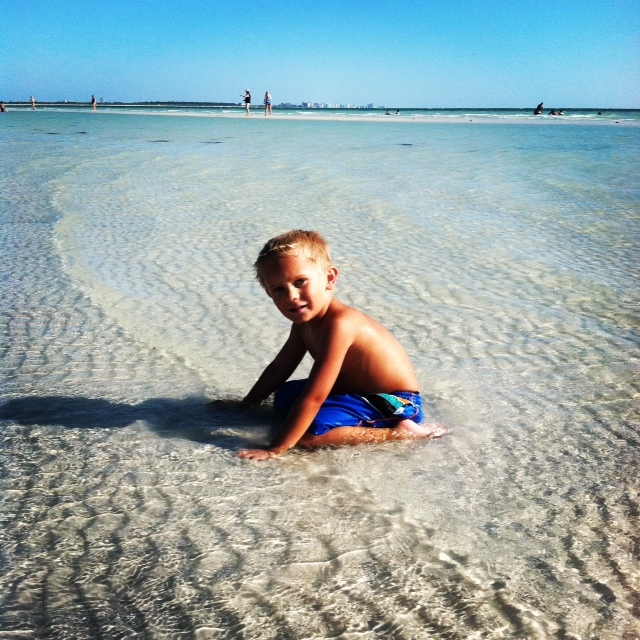 It is a few miles north of the well known popular beach Clearwater. It is an awesome local beach that is not overcrowded by tourists or real beach “bums”. It is very family friendly and it has a HUGE area for kids to play in that is not very deep. 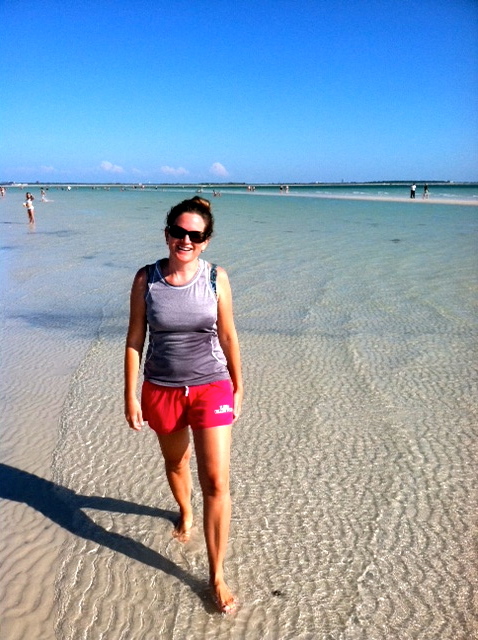 Fun sand bars, not too many shells, lots of small fish. Goal this summer. Go to a new beach every other weekend.